We are offering Butyl Rubber Products, which have a normal working temperature of -40 C to 145 C. These butyl rubber polymers consist of isobutylene with small amount of isoprene. These products are manufactured using optimum-grade material so that these are in compliance with international quality standards. 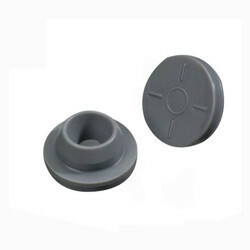 We offer a wide range of high quality of Butyl Rubber Bush to our valuable customers. These products offer excellent resistance to heat, wear and tear, are dimensionally accurate, and have compact designs. 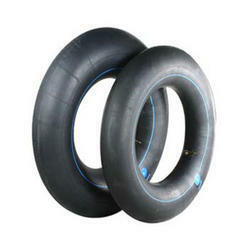 These products are made from optimum quality synthetic rubber, which is a copolymer of isobutylene with isoprene. These butyl rubbers are sourced from reliable vendors. These products are available at cost effective market prices. These products are uniquely designed to work at normal temperatures of 40 C to 145 C. These products are available in various grades that best suit the requirements of our valuable customers. 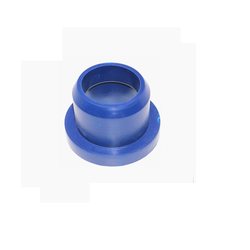 The Butyl Rubber Grommet we manufacture is used for the purpose of passing electrical wire through it. The product has a durable and sturdy body. This product is manufactured using high quality raw materials ad to ensure the quality we are providing we pass these products through a number of quality checks. We provide this product in a number of different sizes depending on the specifications required by the clients. High quality and low price of this product makes it a demanded product in the market. Highly resistant against ozone, whether, acid, glycol, the Butyl Rubber Bushes we manufacture are highly durable. This product is used for various industrial and domestic purposes. This product is provided by us in various specifications depending on the requirements of the clients. We are one of the leading manufacturers of these products and believe in providing our customers with quality products. Thus we use high quality raw materials and advanced technology in the production process. Post production we process the product through a number of quality tests. Looking for Butyl Rubber Products ?